exit Hall Mitte, drive down to the traffic lights, do not turn left across the bridge, but go straight on for about 200m, we are on the left hand side, right on the river bank by the wooden Bridge. exit Hall Mitte, then turn very sharply to the right about 100m after the exit. Our parking is at the riverbank and the small wooden bridge. most trains stop in Innsbruck. There you can either take bus 504 or a connecting train. Direction from Hall train station: walk out of the train station and turn right, always follow the tracks (even when the road turns), you get on a very small foot path, when it ends, there will be an underpass after 50 mts, walk through, cross the road and the wooden bridge and there we are right at the river bank. 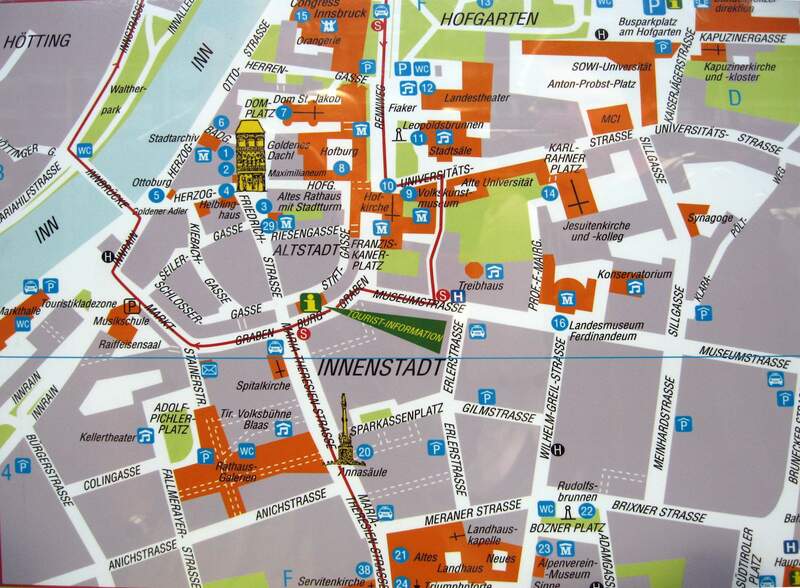 This should take about 10 minutes - if you come by bus - get off at „Unterer Stadtplatz - Musikschule" - walk towards the mint/castle (Münzerturm - Burg Hasegg) pass the Münzergasse, then you arrive at the tracks, where you find the underpass on your left. Please kindly let us know if you would like a map for being sure to find the right way.